When it comes to romance, we can think of nothing greater than combining car insurance policies. At first glance, marriage and car insurance may seem to have nothing to do with each other, but upon closer inspection (go-go gadget: reading glasses! ), you’ll see that the two are actually intertwined. In the same way that marriage impacts your taxes, they may have the same impact on your auto insurance. 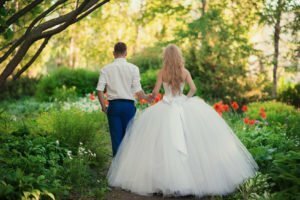 Here are some ways in which your marriage will be affecting your auto insurance, and how you may benefit from it. Married people get into fewer accidents than their unmarried counterparts. This doesn’t mean that as soon as you tie the knot some switch in your head makes you a better driver, just that individuals who get married tend to practice driving. This is good news! Your newly wed status may qualify you for some major savings. When to combine car insurance policies. If you and your spouse have been amazing single drivers and have an excellent driving record and no gaps in coverage, chances are you’ll save more by combining policies than by keeping individual policies. Insuring multiple vehicles could land you both a nifty discount. When to NOT combine car insurance policies: One of you may have believed themselves to be “Speed Racer” and have ruined their driving record. This would be a time to not combine policies as you may end up paying more! To find out if you and your spouse should share car insurance policies, or keep them separate give us a call! For all your auto insurance coverage needs, contact Pierce Insurance Group. As an independent insurance agency in McKinney, TX, we will work with you to make sure you have the right amount of protection to meet the needs of your family, all at the right price for your budget.